I just returned from a successful completion of a Teacher Residence project in Ayalabe Village. I also visited our Gongali School project and it is progressing wonderfully as a fine example of a model mini-community. 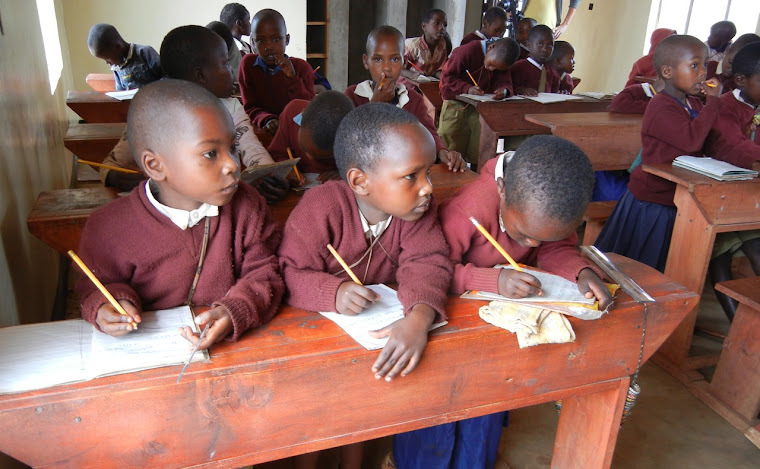 The classes are 90% filled, the pupils are getting a nutritious daily meal at the Dining Hall, teacher families are living in 3 of the 4 residences where they are growing their own vegetables in gardens, and the classrooms are being used for Sunday church services. We must continue to complete the building program so our next project is there, and construction is scheduled for April/May 2014. 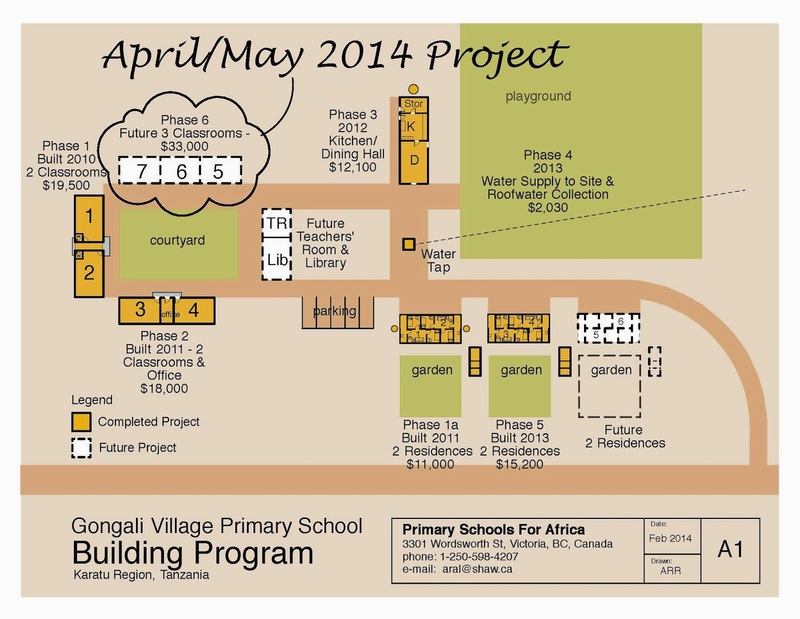 As of today, 7 Feb 2014, we have raised $15,200, almost half of the needed $33,000 to construct the final three classrooms at the Gongali Village School. Thanks so much to you donors that have contributed thus far. This is an important project for the school’s scheduling of classes. Since completion of the first 2 classrooms in 2010, the school has graduated classes up to Standard 4. This 3-classroom building will house pupils for Standard 5,6 and 7. 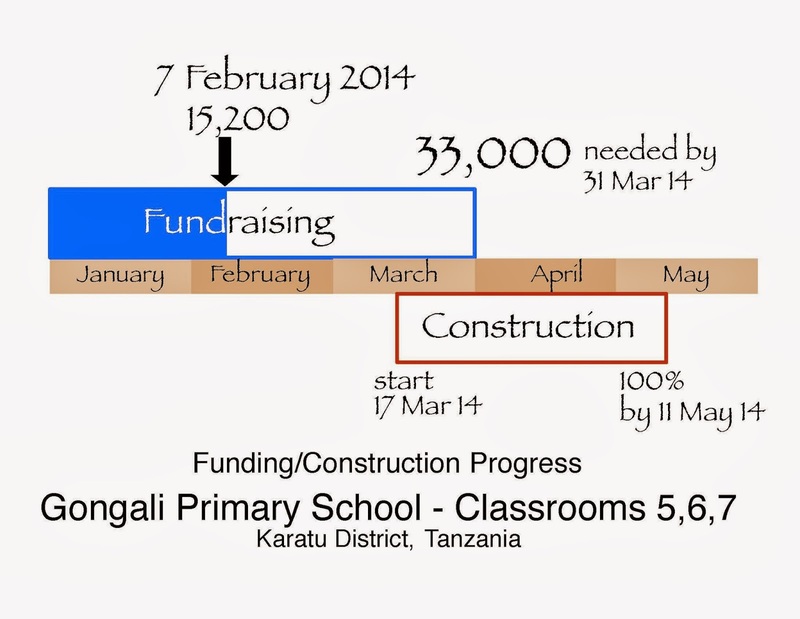 Standard 5 classes will commence in September 2014, so the construction must be completed before then. Rather than leave it to the end of the year, we encourage you to send in your 2014 donation now to help us with this important project. "Primary Schools For Africa Society"
Visit our website www.PrimarySchoolsForAfrica.com and click on the Donate button to use your credit card. A tax receipt will be sent out. Thank you so much for your encouragement and continued support as donors and friends. Please phone me at 250-598-4207 or e-mail at aral@shaw.ca if you would like to discuss or if you have any questions.